Check out this Fountain Hills resort condominium at FireRock Resort Casitas, just in time to plan for a warm winter in the sunny southwest! Fountain Hills is the perfect place to own a vacation condo or second home, a world class community with a hometown feel on the eastern edge of Maricopa County amid stunning views of several mountain ranges. Only minutes from Scottsdale and Mesa, Fountain Hills is a world apart, a golf mecca with four public golf courses. Firerock Country Club, the namesake championship course next door, is a private, member friendly club designed by Gary Panks and managed by community developer MCO Properties. Shop only a block away! 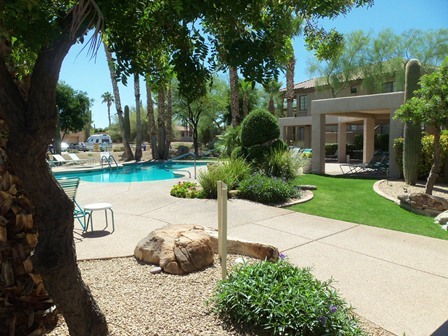 This ground-level condominium home offers great desert views from the spacious patio area. An elegantly decorated condominium featuring 2 master bedrooms, 2 bathrooms and a great room with a spacious dining area, the well-lit kitchen offers granite counters and a convenient laundry room and pantry. There is a carport included, plus additional covered parking possibly available. Of course, a resort condominium at FireRock Resort Casitas provides worry-free ownership and eliminates the need to worry about grounds or building maintenance. HOA fees are only $195 per month and include cable TV and trash service. 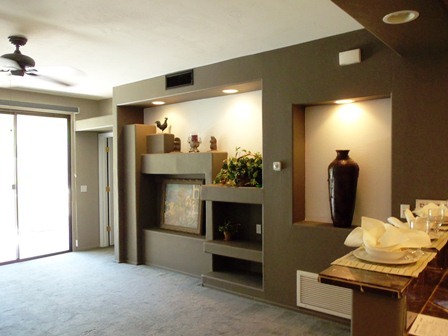 Best of all, the condo is competitively priced at only $145,530! land and condos at www.TheSonoranLifestyle.com. 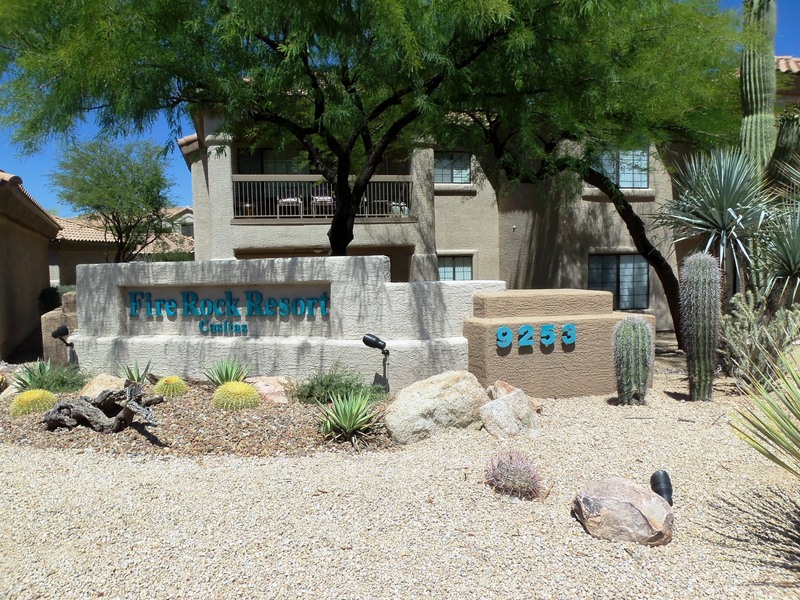 To view the property website of this great resort condominium, go to FireRock Casita #114. This entry was posted in Golf Courses & Area Resorts, Homes, Lots & Condos For Sale or Rent and tagged 2 Bedroom Condo in Fountain Hills, Business Week Best Affordable Suburb, FireRock Country Club, Firerock Resort Casitas, Fountain Hills, Fountain Hills Bank Owned Home, Fountain Hills Real Estate, Luxury Condominium. Bookmark the permalink.